In the heart of Grand Massif, one of the world's top 10 largest ski areas, Les Carroz is one of the Alp's most accessible ski resorts, only a short transfer from Geneva so short ski breaks in Les Carroz are a highly popular Grand Massif ski option. Highly popular for family ski holidays, Les Carroz has plenty of traditional charm & lots to do apres-ski and for non-skiers in the day. Les Carroz is the only village in Le Grand Massif ski area where you can ski in to the village all season, and it is only a short ski from Flaine, which is high on the list for snow sure resorts in the alps. Because 80% of the Grand Massif pistes are north-facing, its has consistently good snow conditions, as the snow can lay a lot longer. 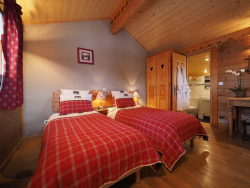 Chalets in Le Carroz & across Le Grand Massif for every purpose! Les Carroz is a traditional alpine village, a sunny village full of interesting shops and cafes. Les Carroz has 15 lifts, 32 trails and is part of Massif, home to 125km of pistes and 42 lifts, which also includes Morillon, Samoëns and Sixt. Grand Massif overall has an impressive 265km of ski runs across 141 pistes and 70 lifts. With plenty of activities for non-skiers and excellent childcare facilities (awarded a 'Famile Plus Montagne' label) Les Carroz is a top quality family friendly ski resort. Apres ski, Les Carroz boasts charmingly local bars, its own nightclub and a Michelin starred restaurant. In addition to this, the town is home to an indoor swimming pool, spa, air balloon flight, indoor tennis court, snow trekking, toboggan runs, dog sledding. Les Carroz is a great resort to drive to being closer to Calais than most. We write up articles for our skiing users in The Summit our news site. You can find out about driving to Les Carroz and other great ski resorts to drive to from the U.K here. [short_description] => Chalet Erica offers catered chalet holidays and short breaks from December to April with personalised customer service and great food for great value. Chalet Erica offers catered chalet holidays and short breaks from December to April with personalised customer service and great food for great value. [short_description] => Chalet Calluna offers great hospitality with delicious food and fun service. Holidays and short breaks with stunning views, log fire and jacuzzi. Chalet Calluna offers great hospitality with delicious food and fun service. Holidays and short breaks with stunning views, log fire and jacuzzi. [short_description] => Chalet Atrium is a breathtaking chalet near Les Carroz village centre with shuttle service to the slopes. 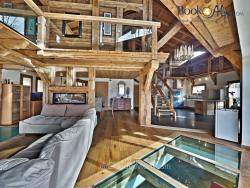 Chalet Atrium is a breathtaking chalet near Les Carroz village centre with shuttle service to the slopes.